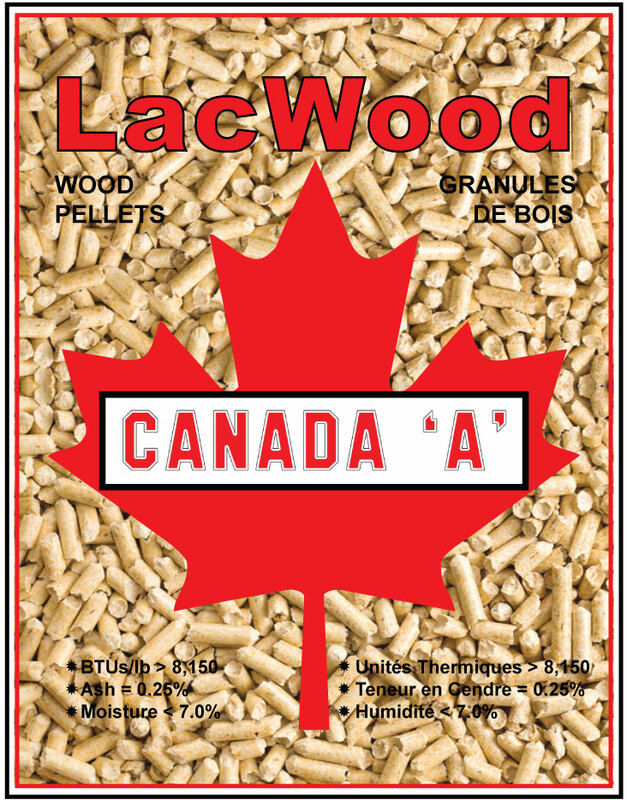 LacWood’s premium quality CANADA ‘A’ wood heating pellets will save you money, labour and time. Wood pellets are a renewable source of energy that offers an environmentally friendly fuel for stoves, providing a safe, clean, and high heat burning option. LacWood’s Premium wood pellets are made from pure coniferous fibre. Our premium wood pellets provide a heat energy of up to 8400 BTU/lb, 0.25% ash content, and less than 7% moisture content = high heat with near total combustion and less waste. Our premium pellets are tested regularly for your quality assurance. Produced from value-added northern pines and spruce. No shavings from chemically treated urban trees or milled lumber are used in our product. Renewable & sustainable heat and energy fuel. With 98.5% near total combustion our pellets produce virtually no creosote and very little smoke. Up to 50% savings in heating costs when using wood pellets. Quicker, easier clean-up due to lower ash content and virtually no creosote build up. Use 1/4 of the storage space required for seasoned cord wood. LacWood’s Premium Heating Pellets are packaged in 40 lb bags on skids, weather and waterproofed and shipped by truck from our location in Northern Ontario. Each skid carries 65 bags. A bulk bag option of 2,000 – 2,700 lbs is also available on request.